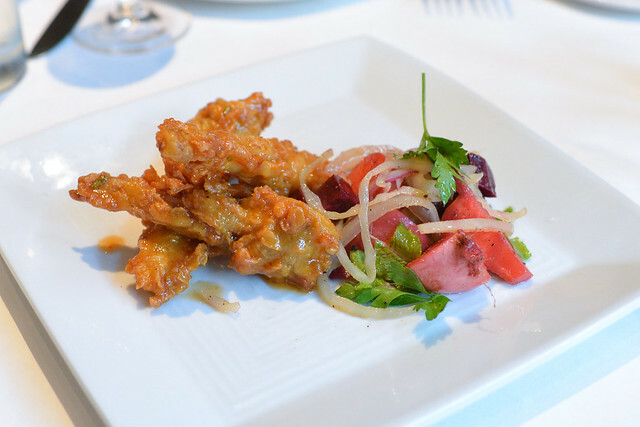 Herbsaint is chef Donald Link’s flagship restaurant. Since opening the restaurant in 2000, Link has garnered considerable acclaim on the nationwide stage and is now one of the most notable chefs in the state. 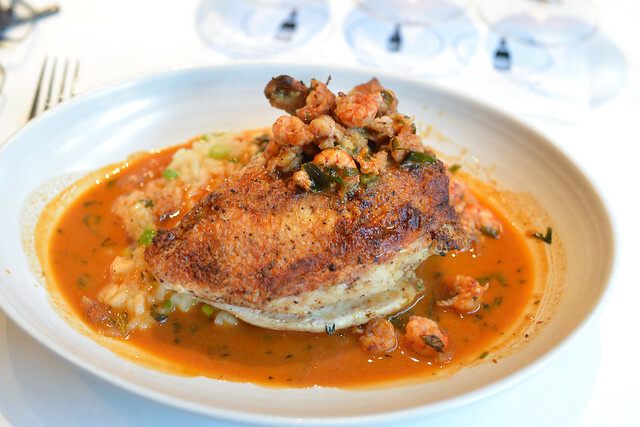 He opened the ever-popular Cochon in 2006, was awarded the James Beard award for Best Chef: South in 2007, opened up Cochon Butcher in 2009, and opened his latest restaurant Pêche Seafood Grill in 2013. Link was also nominated for the James Beard award of Outstanding Chef in 2012, 2013 and 2014. 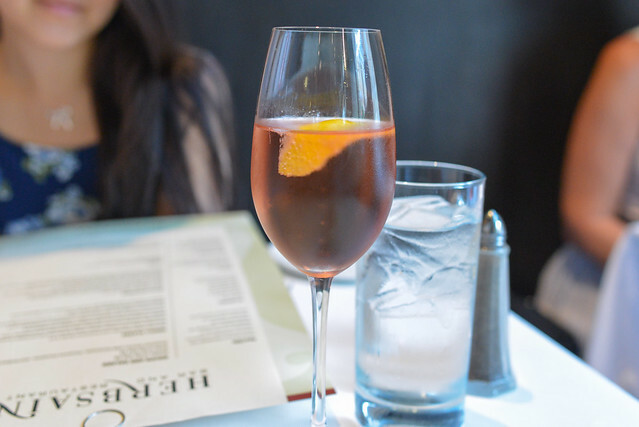 For these reasons, Herbsaint was a must-visit on this trip’s itinerary. 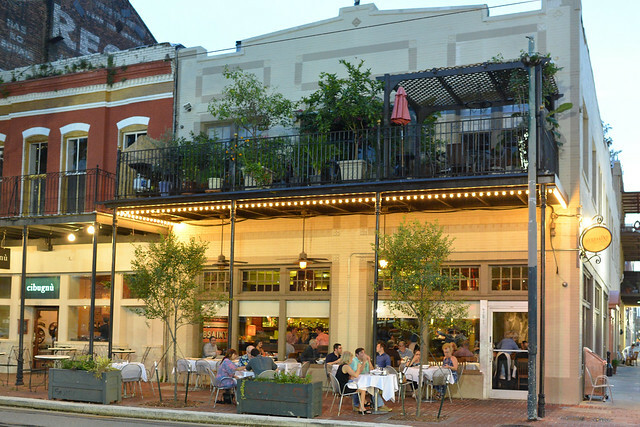 The menu is split into a handful of small plates and main courses with French-southern flair. We began with a light champagne cocktail. 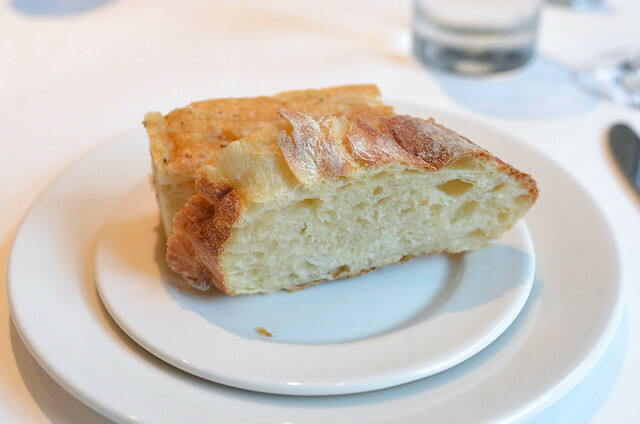 Bread service at Herbsaint was one of the least impressive of the trip. Not bad, but I had some great bread at Commander’s Palace and Cochon. One of the daily specials, the frog legs were delicious. Perfectly fried with a crunchy batter, the meat was sweet, moist and tender. Pickled beets provided a counter to the richness. 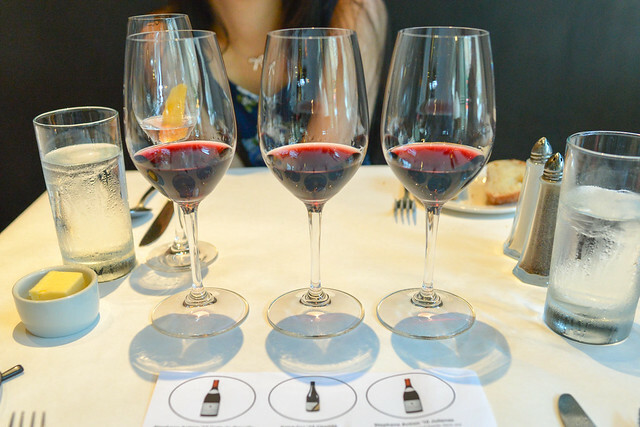 The restaurant offers both a red and white wine flight – kind of fun. Here I opted for the red, a beaujolais flight. 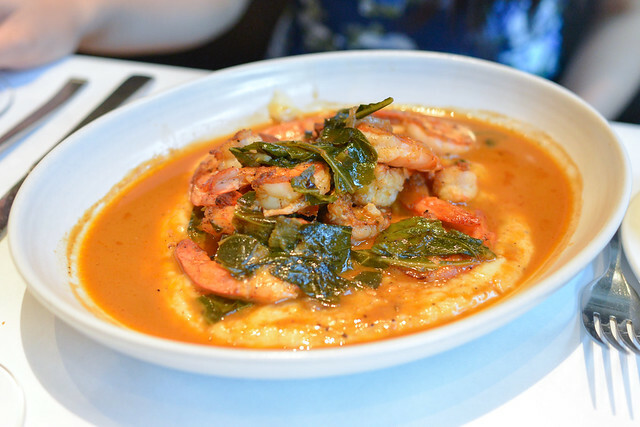 I thought the shrimp was a little overcooked in this dish, though the grits showed off a fresh sweet corn flavor. A pronounced porky backbone flavor came through from the collard greens. I almost never order a chicken breast entree but this one came highly recommended by our server. The chicken was actually really good with moist meat and crispy skin – perfectly done. The creamy risotto had subtle scallion flavor but was packed with shellfish flavor from the sauce. The dish really showed off a great mix of flavors. I got the vegetable of the day side just to keep things somewhat healthy. 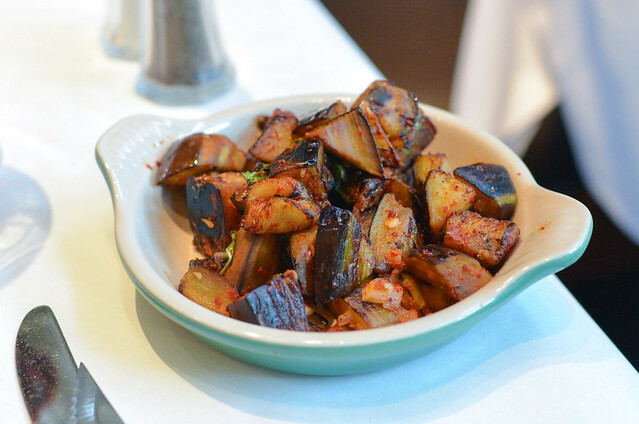 Pan roasted eggplant had plenty of spice but could’ve used some brightness. We finished off the meal with this tart. 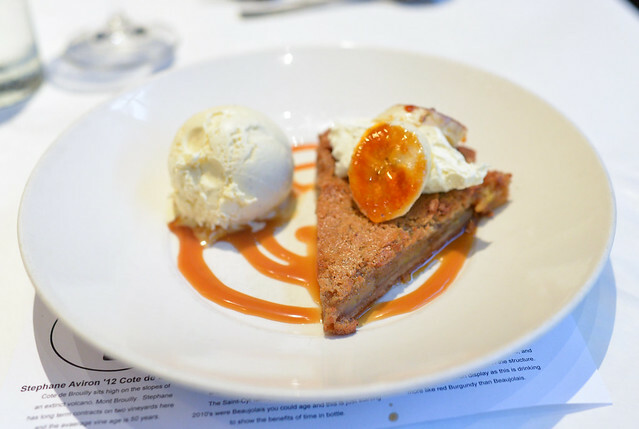 The tart was served warm, certainly buttery with a nice salted caramel sauce. Vanilla ice cream was a welcome accompaniment. Herbsaint presented a good meal, though it didn’t ‘wow’ in any way. Expectations may have been too high but I’m glad to have tried it.